Habitat Stewardship & Interpretive Garden Volunteer Work Day #2. 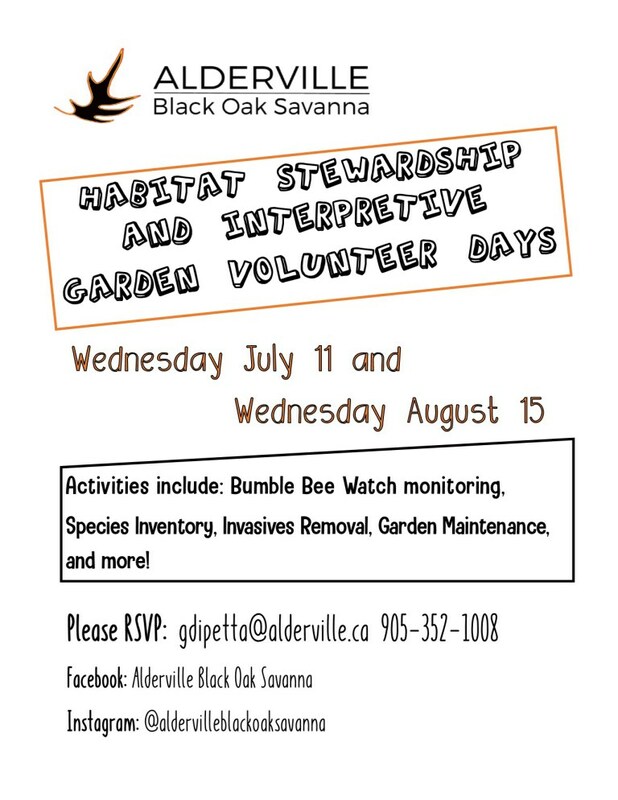 This is the second of 3 Habitat Stewardship & Interpretive Garden Volunteer Work Days at Alderville Black Oak Savanna during the 2018 field season. Activities include: Species Inventories - around the Interpretive Garden to compare to previous years. Bumble Bee Watch Monitoring Invasive Species Removal/Planting No prior knowledge is required, however it’s a great chance for environmental students to practice their skills! Hours also count towards community service hours for secondary students! Alderville Black Oak Savanna. 12 – 3 pm. Registration requested.